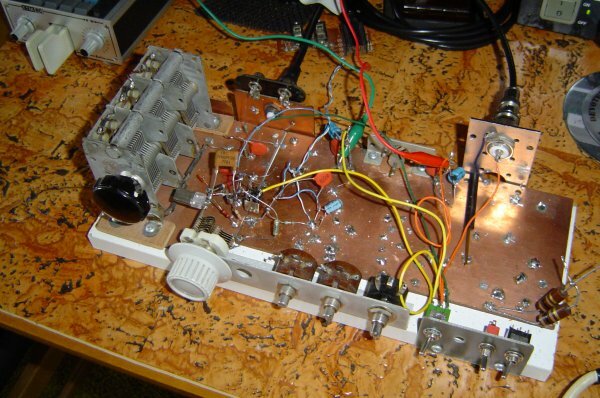 This page describes a 10 watt (or so) transmitter I designed for the "new" 60 meter band. I wasn't particularly interested in becoming a convert to SSB, but I did want the experience of building an SSB rig. This simple VXO controlled transmitter has been designed as an easy way to get on the new UK 5MHz allocation. This transmitter was built for a bit of fun. I was astounded when GW3UEP, at a distance of 120 km, replied to my CQ call. 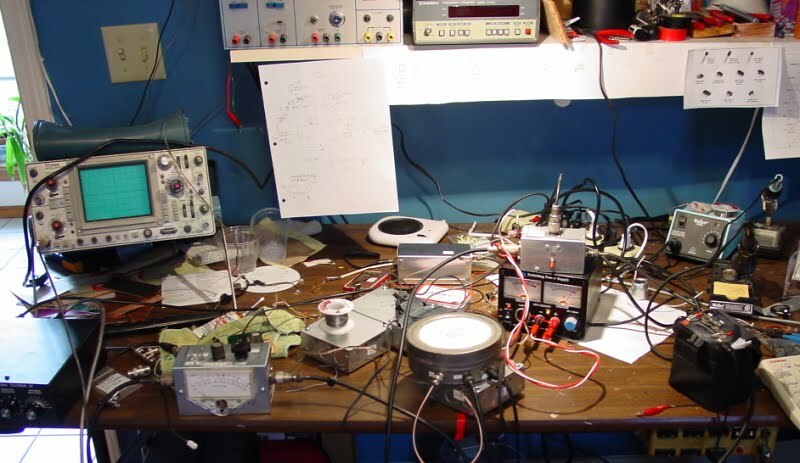 This QSO took place on 6th November 2005 - just 130 minutes after I started designing and breadboarding this little transmitter!